The beloved musical Little Shop of Horrors returns downtown thanks to the exciting new NYU Tisch New Theatre production running October 31-November 5 at off-Broadway's SoHo Playhouse. Any excuse for a night with Seymour, Audrey, Audrey II, and that incredible Menken/Ashman score is truly welcome. 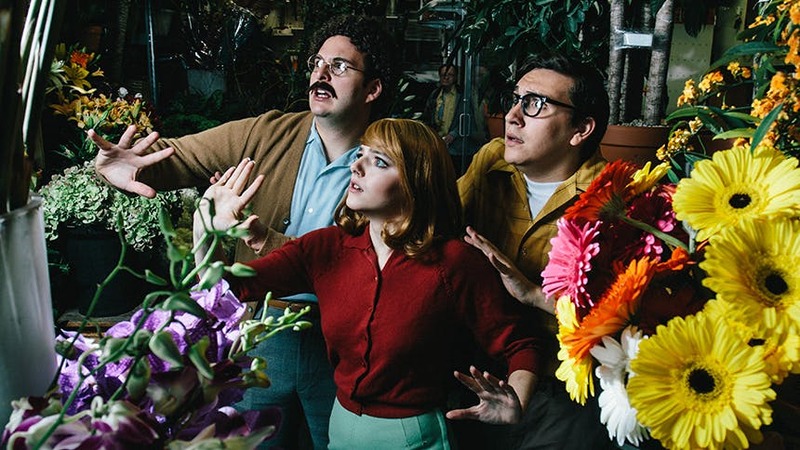 Scroll on to get a first look at the stars of Little Shop and their Richard Aaron costumes in these stunning Emilio Madrid-Kuser portraits shot from Audrey II's POV. Don't miss Little Shop of Horrors at the SoHo Playhouse October 31-November 5.